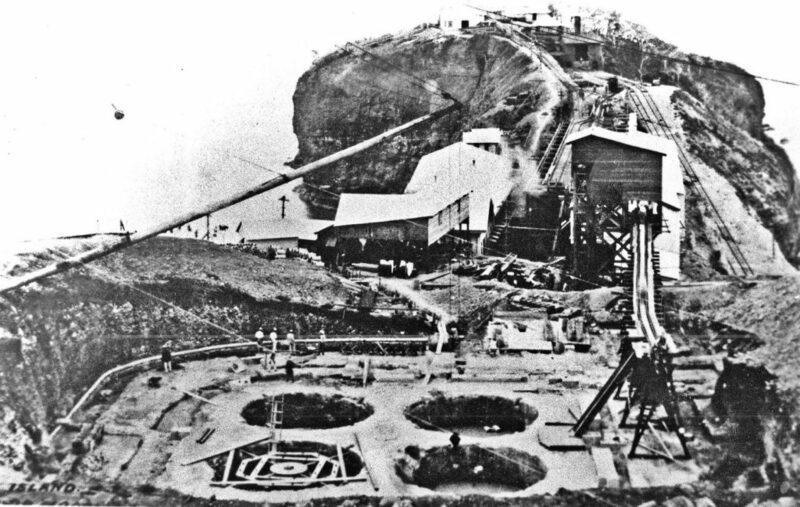 This page shows construction of Fort Frank on Carabao Island in Manila Bay. Fort Frank was part of the Manila and Subic Bay Harbor Defense Command. These images were given to me by Karl Schmidt from the Coastal Defense Study Group (CDSG.org) who got the images from National Archives and Records Administration (NARA). Thank you Karl and all members of the CDSG. 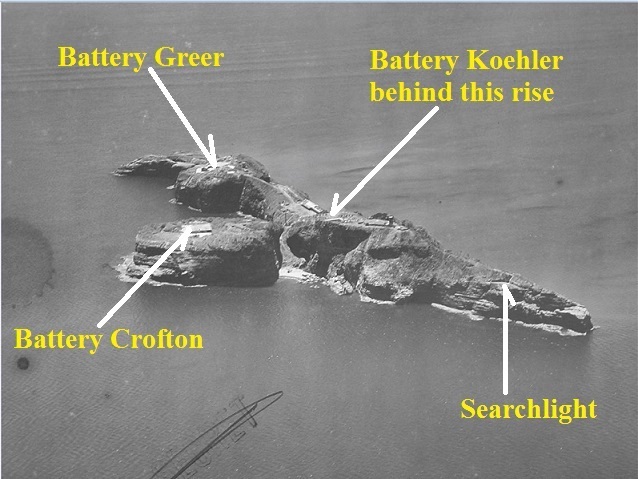 This is Battery Koehler. Carabao Island runs pretty much on a north-south axis; in this picture we are looking north. Battery Koehler will be a Battery with (8) eight 12 inch mortars. The 8 mortars are placed in two pits with 4 mortars each; they are next to each other. This image shows the northern mortar pit with 4 guns. This picture was shot in the last three months of 1908.